Additional Info: With 20 years experience in both the harp and the violin, Tasha Smith is an accomplished musician and teacher. Ms. Smith debuted as a soloist at age 16 performing Boieldieu's Concerto for Harp when she was a featured soloist with the Grossmont Symphony in San Diego, California. She has since performed as soloist with the San Diego State University Symphony Orchestra and the New City Symphonia. Ms. Smith began her musical studies at age 4 on the violin and age 9 on the harp. With the harp, Tasha has studied with Isabelle Perrin, Elena Mashkovtseva, and Susan Allen. She graduated with honors from San Diego State University where she obtained a Bachelor's degree in harp performance (2005). Upon graduation from SDSU she moved to Paris, France to study with the world renowned harpist Isabelle Perrin at L'Ecole Normale de Musique de Paris. In Paris, she also finished with honors when she obtained the only unanimous vote from the jury. Ms. Smith received a Diplome de L'Execution de la Harpe (French equivalent of a master's degree in harp performance) from L'Ecole Normale de Musique de Paris (2006). 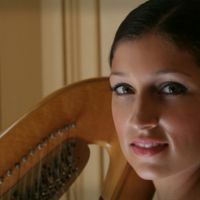 Tasha has recently received a master’s degree in harp performance at San Diego State University. Ms. Smith frequently performs with the Orquesta de Baja California located in Tijuana, Mexico and the Grossmont Symphony of San Diego, California. In addition to her orchestral performing she is an avid soloist and chamber musician. Ms. Smith specializes in the performance of new music for the harp. Ms. Smith performs extensively throughout southern California and Mexico and has performed throughout Europe including concerts in: France, Germany, Czech Republic, Hungary, Austria, and Slovakia. Some of her notable performance venues include: Copley Symphony Hall (San Diego), San Diego Organ Pavilion (Balboa Park, San Diego), Escondido Center of Performing Arts (Escondido, CA), Dvorak Concert Hall (Prague, Czech Republic), L’Ecole Normale de Musique de Paris (Paris, France), and the Centro Cultural de Tijuana (Mexico). Tasha regularly plans and performs in fund raising concerts for projects in 3rd world countries. Her most recent projects include raising money for an orphanage in India and building fresh water wells for small villages in Tanzania and Mozambique. Aside from performing, Ms Smith is president of the San Diego Harp Society.